Hey everyone! Todays post is about something a little different. I recently tried Cocowhite as I have seen so many posts about it on Instagram that I caved. It was a totally different experience from anything I’ve ever tired before, I’ve used some teeth whitening strips in the past so this was totally weird to begin with. However, in the end I was pleasantly surprised. 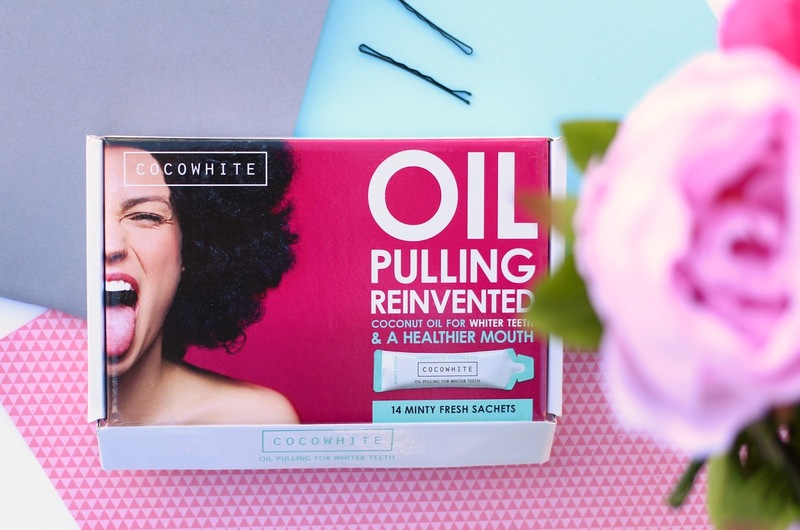 Firstly I want to talk a little about Cocowhite and the idea behind oil pulling, its something that has been used for heathy teeth and gums for many years. The idea is that you swirl coconut oil in your mouth and this naturally draws out all the impurities. I don’t know about you but I really don’t fancy swirling straight up, plain coconut oil in my mouth.. I’m pretty sure I’d be sick! Cocowhite conveniently packages the right amount of oil for you, as well as adding some flavour. To be honest the flavour isn’t that strong and after a minute or too I felt like it has completely faded. I personally opted for the mint flavour but they offer lemon and vanilla too, I can’t say what these will be like but I know the mint flavour didn’t stick around for long. Its also a really strange sensation of putting oil in your mouth, its not a pleasant texture and the first time I used one of these I could only keep it in my mouth for about 5 minutes as opposed to the 15 thats recommended. I did get used to it though and by the third day I was coping just fine. You get 14 sachets in a box, and you’re meant to use cocowhite every day for 14 days.. There were a few days that I missed but I did finish the whole box! Sometimes when I went to open a sachet the oil was solid but this is easily resolved by sitting on it for a few minutes, or popping it in your bra or something! Overall, I’m pretty impressed with the whole experience of Cocowhite. 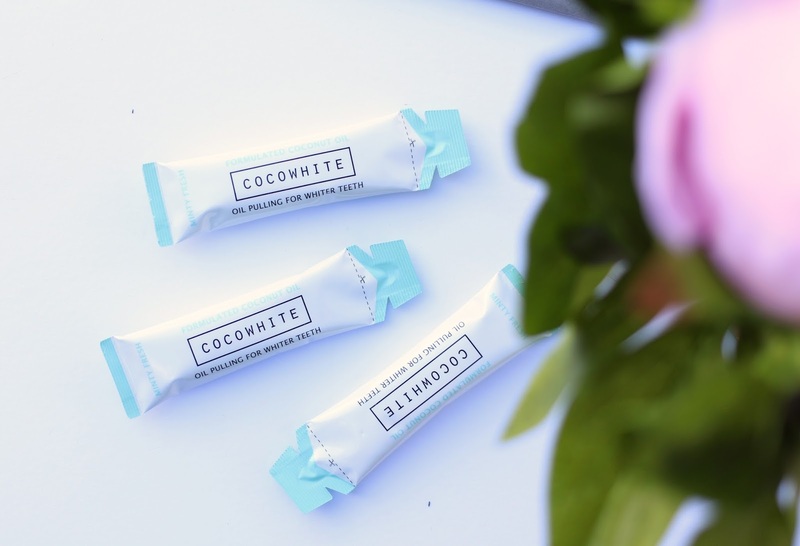 I wouldn’t say theres a huge difference in the whiteness of my teeth but I reckon if you’re someone who drinks red wine, coffee or eats a lot of curry then cocowhite will remove any staining. Every time I used Cocowhite my teeth felt really clean and fresh, and it also made my tongue feel really clean too. Although I didn’t see much in terms of whitening, the benefits of oil pulling alone are enough to make this a win! Have you ever tried any teeth whitening products?